Annie came to Teesside through clearing and now she's working on big-screen films. 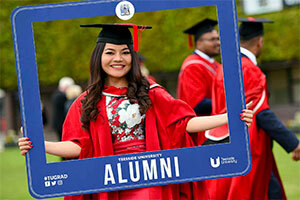 I came to Teesside through clearing. I heard the University had good industry links, and I believed this would give me a good chance to get into my dream career. I attended an open day and found the tutors to be professional and from a range of industry backgrounds, which gave me confidence that what I’d learn would be industry relevant. I was given a tour of the facilities, and was impressed with the industry level computer labs and software. One great thing which persuaded me to choose Teesside were the excellent transport links available to my hometown of Manchester. How did the course prepare you for your future career? I learned a lot of skills relevant to industry. The course was set up to teach the entire process of computer animation and visual effects, which helped to narrow down specific personal interests and potential career paths. Tutors also helped reinforce this further because they came from various industry specialisms and provided a lot of help and support. 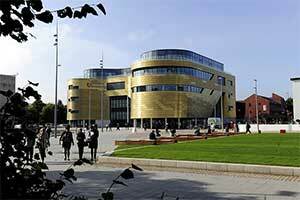 What was your student experience at Teesside like? I found there were a lot of activities and clubs available. I joined the pole fitness club – it had experienced instructors, was really affordable and helped me keep fit. 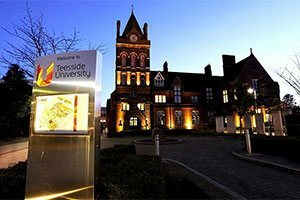 Teesside also has a low cost of living, so you don’t have to worry about spending a lot of money when you go for a night out. I made a lot of friends while studying which was great because we all pushed each other to work really hard. The Animex festival was a big highlight because I had the opportunity to talk to people in the industry and receive insight which helps to get jobs. I also saw some amazing things which hadn’t yet been released. 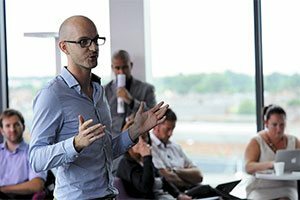 What advice would you give to those thinking about applying for this course or a similar one? 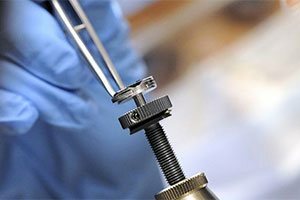 Make sure you research the facilities on offer because you must be able to push yourself to a high standard, and without top-of-the-range equipment this is impossible. I would also recommend finding out more information about the people who are going to be teaching you. I am now a Paint and Roto Artist for Framestore, working on films such as Thor: Ragnarok, King Arthur: Legend of the Sword, and Kingsman: The Golden Circle. I started as a part-time runner whilst studying, which helped show my commitment and passion. My degree and enhanced show-reel then secured me a permanent position at Framestore. I definitely believe my degree was essential in landing this role. The course provided an environment which encouraged me to flourish while being similar to a real-world work environment.